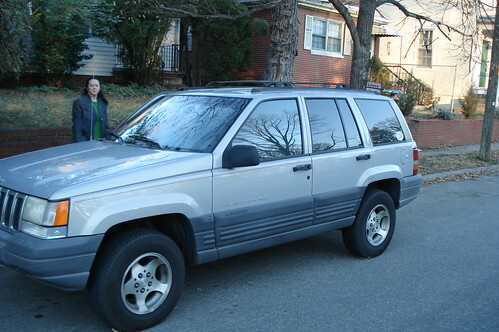 If you were one of the people we mentioned this to before we left…our Jeep sold! It served us well for apx 10 years and hauled us around many many miles. Well, 1.5 weeks ago, we finally got internet hooked up at our place. It is a long story but it involved planning, the BT guy showing up late, and having to reschedule to finally get this done. Part of what we brought with us was an asus rt n16 to use with our VPN provider. The plan was to have the router make the VPN connection (we use StrongVPN…for $55/year with no caps or other limits) for us so the WDTVLiveHub we brought could stream Netflix to our TV. Well, we set it up and everything worked ok…most of the time. However, there were times when DNS requests wouldn’t resolve (even using opendns). Yesterday I gave up and installed ddwrt. So far, it seems to be working great….much better than with the stock firmware. One of the extras I got with ddwrt was a graph that tracks our usage. Why is this important you ask? Well, instead of paying £7.50/month for internet, we are paying £25/month. That is a hunk of money (with the £/$ ratio at about $1.55 to £1). But, the £7.50 internet would have been limited to 40GB transfer/month. I figured we would use more than that, but wasn’t really sure. Well, after a day and a half of using ddwrt, I’m glad we did go with it. At the moment, we’ve sucked up 4GB off the internet….that was 1 movie for Cyndi and I, and about 4 30 min TV shows for the kids. Looks like we would have been way way over our cap. 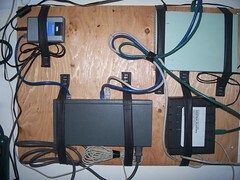 [Update 2011-12-02 07:23:44] I just read this article about capping data transfer. Does it work or should something else be done. Interesting read. [Update 2013-10-18 22:14:08] We just switched ISPs. I also edited the image on this post because the old one had been taken down.